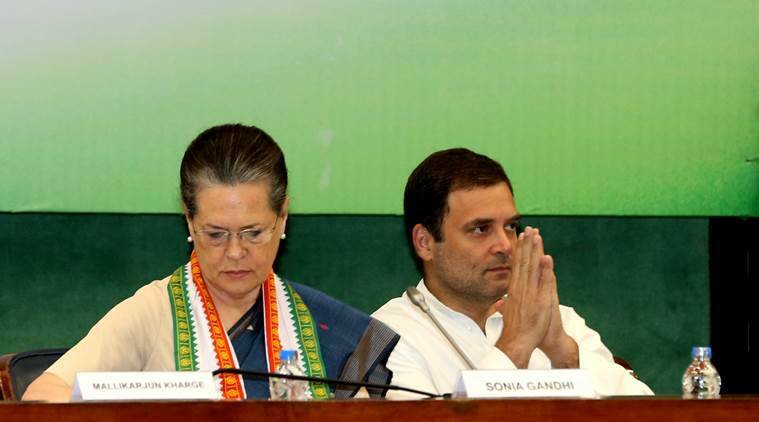 The Congress central leadership has also indicated that the party is set to enter an alliance with the Aam Aadmi Party in Delhi over the next 48 hours. AFTER DAYS of negotiations and hard bargaining with the RJD, the Congress on Tuesday agreed to scale down its demand for 11 seats in Bihar. Sources said this has cleared the way for a seat-sharing arrangement with the RJD, and a formal announcement is likely to made Wednesday. However, the much-talked about understanding with the Left in West Bengal has fallen through, with the Left Front on Tuesday announcing candidates in 13 more seats, taking the total number of seats it is contesting to 38. A senior Congress high command leader told The Indian Express that the alliance in Bihar is “very much intact” despite the pulls and pressures and signaled the pact could be announced in Patna Wednesday. Congress president Rahul Gandhi and RJD’s Tejashwi Yadav are learnt to have spoken over the phone. However, there is no confirmation of whether the CPI and CPI-ML are part of the alliance in Bihar, though both Left parties are still hopeful of RJD taking them into the fold. In Delhi, there were hectic developments, with PCC chief Sheila Dikshit meeting three working presidents. Congress central leadership sources indicated that a decision on the alliance with AAP would be taken after Congress president Rahul Gandhi returns from the Northeast on Wednesday. Sources said all the 14 district presidents and four former PCC presidents have given two separate letters to AICC in-charge P C Chacko favouring an alliance with the AAP. The Left parties in West Bengal, as of now, have not fielded candidates in the four sitting seats of the Congress, but the Congress on Monday had declared candidates for Raiganj and Murshidabad — the two sitting seats of the CPM. The CPM had earlier offered to enter into a tactical understanding in seven more seats, but the Congress had insisted on 17 seats, which resulted in the talks breaking down. Meanwhile, there is a fresh complication in Jharkhand, with the RJD not backing down on its demand for two seats. The Left parties too are demanding one seat. The broad understanding was that the Congress will contest on seven seats, with the Jharkhand Mukti Morcha on four, Babulal Marandi’s Jharkhand Vikas Morcha on two, and the RJD on one seat. With the RJD not relenting on its demand for two seats and the Left keen on one seat, the JMM now is learnt to have lobbed the ball on to the Congress’s court.